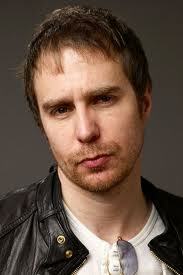 It does not take much prompting to get me to talk about Sam Rockwell. I consider him to be vastly underrated as an actor, so I see it as my duty to pontificate on his brilliance when presented with the opportunity. That’s what happened last week, when a colleague popped into my office to ask if I’d ever seen “a movie called Moon.” She was referring, of course, to the brilliant, lo-fi, sci-fi 2009 drama by Duncan Jones. She was particularly interested in the guy who played dual roles in the film, so I launched into a diatribe about the movie industry and why a guy like Rockwell should be a major star – but isn’t. I think most people know his face. They recognize him when he comes on screen but don’t know where they have seen him before. Some might be able to place him as the villain in the first Charlie’s Angels or Tony Stark’s rival in Iron Man 2. But there is a deep catalog of fantastic Rockwell performances that has been lost on the casual movie viewer. Rockwell only has a supporting role, but he makes the most of it. In this unusually modest Ridley Scott flick, Nicolas Cage and Rockwell play con-artist partners who are busy working on a big score, which is hindered by Cage’s crippling obsessive-compulsive disorder and the arrival of his estranged daughter. There is a lot going on in the film, but it maintains a breezy pace, due in no small part to Rockwell’s impeccable comic relief. His character covers all the typical Rockwell bases; he’s slimy, manipulative, and oddly lovable at the same time. If you’re paying attention, you’ll even hear a snippet of his famous Christopher Walken impression. All in all, it epitomizes a “supporting” performance, as he mostly blends in and supports what is probably Nicolas Cage’s last great performance. But due to the surprise ending, Rockwell’s performance reveals more layers on a second viewing. Playing real-life game show host Chuck Barris is a formidable challenge, but Rockwell rises to it in this George Clooney-directed film. Barrie was a schlubby but occasionally successful TV producer who claims to have worked for years as a CIA agent, although the agency denies it. The film rests on a balance between reality and fantasy; Clooney, in his directorial debut, seems to be playing with the camera a bit too much, but Rockwell’s egoless performance as the grimy, anxious, and, yes occasionally charismatic Barris grounds the story. A high-profile film due to Clooney’s involvement, this was expected to be Rockwell’s breakout role, but the ugly desperation and ambivalent morals of his character precluded him from ever completely earning the audience’s sympathy. It’s a perfect example of Rockwell refusing to play it safe, sometimes to the detriment of his own career. Prepare yourself. I can understand why director David Gordon Green took a sharp right turn and started making silly stoner comedies (Pineapple Express, Your Highness) after this one. Snow Angels is emotionally taxing, and Rockwell bears the brunt of it, as an unstable born-again Christian trying to win back his ex-wife (Kate Beckinsale). It’s a performance that should have won all kinds of awards, capturing the dark side of Rockwell’s “pathetic guy” persona. Rockwell mesmerizingly documents his character’s mental regression as he tries unsuccessful to fix his broken marriage; at first, you’ll find yourself rooting for him to win her back, but by the end, you’re only hoping that no one can gets hurt. The tragically heart-stopping finale will stay with you long after the film ends. Collinwood isn’t exactly blockbuster material – it’s a quirky comedic heist film whose characters speak in a unique vernacular – but it’s hard to understand how the film was so overlooked by critics, especially since its cast was a veritable who’s who of indie film darlings at the time. Rockwell stars alongside William H. Macy, Patricia Clarkson, Luis Guzman, Michael Jeter (in his last role), Gabrielle Union, and George Clooney, who also produced. Rockwell’s character is another overconfident loser – a failed boxer named Pero who becomes the de factor leader of this hastily-assembled gang of petty thieves. We spend a lot of the film laughing at him and his transparent machismo, but almost imperceptibly, he wins us over. As he wines and dines a young maid (Jennifer Esposito) who literally holds the key to the gang’s fortune, he actually finds himself turning into a better man, which seems to surprise him as much as anyone. The solid emotional foundation of the story comes into stark relief in a final scene between Jeter and Rockwell that is startlingly heartfelt. Safe Men (1998) – Rockwell and Steve Zahn, another underrated actor, team up as inept criminals in this indie comedy by the director of Along Came Polly and I Love You, Man. Conviction (2010) – The movie follows the inspirational real-life drama template to a tee, but Rockwell shines as a man who may be wrongly convicted of murder. The Green Mile (1999) – This was when most of us first noticed Rockwell, who steals scenes from Tom Hanks, Michael Clarke Duncan, and future Collinwood co-star Michael Jeter as a gleeful murderer on Death Row. Frost/Nixon (2008) – As a determined and passionate researcher, Rockwell brings a spark to this unemotional story of the famous interviews between British fluff reporter David Frost and ex-president Richard Nixon. I know I left a few out, so tell me in the comments about your favorite Rockwell performance not on this list! You are right. This is an inexcusable error!